R-21 Speed ever an issue cruising San Juans and beyond to the Gulf Islands, etc. Are there issues with currents being too much for the boat? Our last boat was a power sailer and before that a gas guzzling 23' flybridge cabin cruiser with lots of oomph....The 21 EC seems to cruise at sailboat speed so that seemed fine. We are not familiar with cruising beyond Anacortes into Canada in protected waters since most of our prior cruising was done in South Puget Sound(sailboat), the Straight of Juan De Fuca (Cabn Cruiser) and the Columbia River (sailboat.). Our 21 would be primarily used to cruise from Everett to Anacortes or Anacortes to Canada at this time in our lives using protected waterways as much as possible. Thoughts? Anyone do that kind of cruising in theirs? I realize three men went to Alaska in 21's but they are tougher than I am so i don't know what they were willing to put up with!- Thanks! I have no doubt that you are going to hear from R-21 owners who will tell you that the boat works fine for cruising in the San Juans and Gulf Islands. Having driven commercial boats in that area, I can tell you that currents in some of the passes and in the Straits could potentially make for no forward progress at times. No different from a sailboat sailor having to plan passage through that area. Plenty of faster currents between those islands, as well. While the 4 main Straits (Rosario, Haro, Juan de Fuca, and Georgia) will have currents due to tides, running on those straits with wind against current will make you wish for a bigger or faster boat. Or staying put until the current changes. 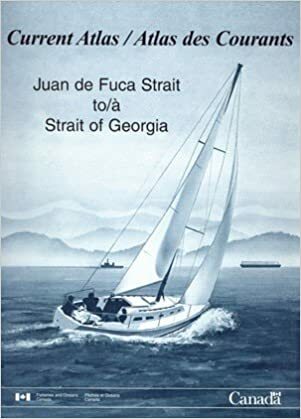 Fortunately, you can almost always find protected waters in the San Juans (exclusive of the previously mentioned straits and add Boundary Pass to that list), as long as you are willing to wait out the tidal currents and weather. There are plenty of sailboats and displacement speed trawlers that do that. I think the San Juans and Gulf Islands are some of the best boat cruising to be had: a reasonably compact area that still gives you plenty of cruising/anchoring/marina options. I would have no issue taking an R-21 there, as long as I wasn't on a tight/fixed schedule. Great point and confidence builder! Been studying our San Juan's cruising guide seeing a totally doable situation with the usual precautions and knowledge. And reading small sailboat cruising stories in the waters of BC. For anyone wanting a good read: I highly recommend The Curve Of Time by M. Wylie Blanchet- an extraordinary story of a woman who spent four months each summer with her 5 children on a 24' sailboat cruising throughout BC waters so she could make ends meet by renting out her home to a family from Seattle for the summer after she was widowed. Have read it twice and reading it again. We've seen several R-21s during our time in the San Juans. There are so many places to see and things to do in a relatively small area that speed isn't an issue. Currents can work against you in a few places, but a little planning to be there at the right time is all that's needed. We keep our boat in Anacortes, but live in Bothell. If you plan to keep yours at home, then Lake Washington and the Samammish River are decent cruising areas as well. One other area to watch out for is Swinomish Channel just south of Anacortes. If you're transiting from Everett to Anacortes, that will be the most likely route, and La Conner is a great place to stop for lunch/dinner and shopping. Just be aware that the current can be quite strong there at times. Brad is correct the swinomish can have some strong current, but the R21 should be fine - i go up there all the time. the worst bit can just be southern entrance as the current is across the direction of travel so you have to pay attention to stay in the channel. the worst conditions are typically ebbing tide with a southerly wind in rosario straight. uncomfortable indeed! Any help is appreciated. Two day countdown to being official TUGNUTS! Last edited by Shangie on Fri Feb 15, 2019 11:16 pm, edited 1 time in total. Slack water happens as the tidal current changes from ebbing to flowing and vice versa; around the time of low tide and high tide. Understanding what happens with the tidal currents in the San Juan Islands will make a BIG difference in your speed (or lack of) and comfort. It will show you graphically not only tide direction and speed, but also what part of any of the passages may have the most or the least flow (the water does not move uniformly between and around the islands). Last edited by JamesTXSD on Fri Feb 15, 2019 7:46 pm, edited 1 time in total. Another note about that book: after the initial purchase of the book (and the year's info), you can get the next year's (and the next, ect) updates - so he book does not become obsolete. The book will graphically show you, hour by hour, what to expect and where. Having operated commercial boats in that area, I found it important to know if you would be helped or hindered, and what to expect for wind with or against tidal current for planning purposes. And the speed, it a great tool and right at your fingertips! It's great for setting and retrieving your crab pots around the mouth of the Columbia river too! Good luck and hope you enjoy your boat as much as I enjoy mine. I too use the Current Atlas for the San Juan and Gulf Islands. Fantastic resource. But on days when we are going slow for a long distance leg I find that half my trip is against the currents and the other half with the currrents. So that tends to even things out a bit. What is helpful is knowing in advance, thanks to the Current Atlas, specifically where I’ll be going faster and where I’ll be going slower! Another key reference is Ports and Passes which will tell you the slack times going through pinch points with really strong currents. Almost everyone plans to go through places with “Narrows” or “Pass” in their names at close to slack tide times. Everyone, Thank you so much- The recommended books are in a cart in the Waggoner Online Bookstore and we will hit BUY if everything goes well with our sea trial and inspection on Sunday. Kayaking Puget Sound by Rob Casey and a tide book keeps me out of trouble most of the time in our smallest boat so I know the value of such good books and I am looking forward to having those new ones on board. Also added the current atlas table to go with the Ports and Passes book. Thanks again! Get a copy of ports and passes for onboard https://portsandpasses.com/ as electronics fail. it is however not an official source so be careful.